Do you keep sodium alginate in your kitchen? How about calcium chloride? You might think these chemicals only belong in a lab. But in an interesting twist to traditional food preparation called molecular cooking, chefs are using concepts from the lab to create a whole array of new textures, aromas, and tastes. They’ve come up with ways to make transparent ravioli, coconut mango foam, port fluid gel, edible lipstick, and much, much more. 1. 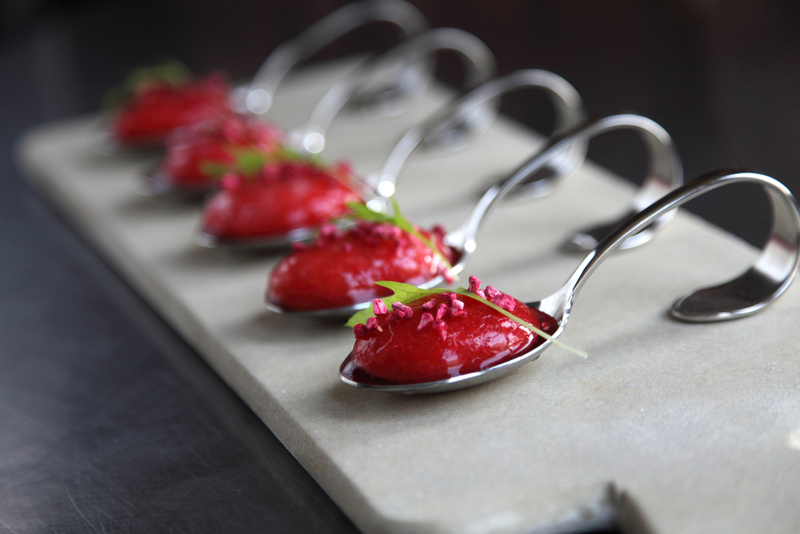 Using sodium alginate and calcium chloride, chefs are able to transform a liquid into caviar-like spheres. This process is called “spherification,” and the technique yields a huge array of newly textured dishes. 2. In cryofiltration, a liquid like a juice or a broth is frozen, then filtered through a cheesecloth as it thaws. The result is incredibly clear liquids infused with taste but with the consistency of water. 3. Using gas chromatography coupled to mass spectrometry, which determines the amount and kinds of chemicals in materials, chefs determine the aroma profiles of various foods. They figure out which foods share the important aromas, and then create startling new combinations of tastes you wouldn’t think would go together. (One example: pineapple and blue cheese). These are just a few of the current methods that underlie molecular cooking. Chefs are creating all sorts of foams, airs, gels, and other textural novelties. Looking at food through a molecular lens – at the particles that make it up, and what can be done with them – is allowing a whole new level of cooking to spread around the world. The series that follows takes a closer look into what chefs are doing to transform food, and how they are using science to do so.